Loxta Hardware, a Clitheroe-based door hardware manufacturer, has secured a £50,000 investment from Business Finance Solutions (BFS). The investment, facilitated by NPIF – BFS & MSIF Microfinance, a product fund managed by BFS in partnership with MSIF, is part of the Northern Powerhouse Investment Fund (NPIF) which recently announced its 100th deal. 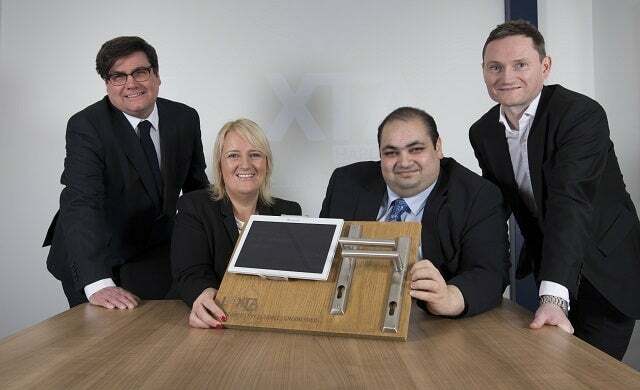 Loxta was established in 2012 by founder and director Shaun Singh, who was driven to design his own range of door hardware products after extensive experience in the sector. Since launch, Singh has developed over 100 product ranges using innovative design and manufacturing techniques that have enabled the business to deliver stronger products, softer contours and a wide variety of colours and finishes that are resilient and resistant to corrosion. The fresh funds will allow the Lancashire business to purchase additional stock and export to Europe and the Middle East – its first foray into the international market. In response to increasing demand from its trade customers, which include interior designers, architects and ironmongers, Loxta will use also use the funding to design and manufacture high quality architectural ironmongery and door hardware across its product ranges. Singh originally contacted Boost, Lancashire’s Business Growth Hub, looking for support and was introduced to funding options available at NPIF. Boost is also providing funded mentoring support to Shaun to help him manage the expansion. “Shaun and his team have created a great British company that is proudly designing, manufacturing and distributing all of their own products. “This investment is a perfect example of how Boost and the Access to Finance programme have worked together to find the right funding solution for Loxta.